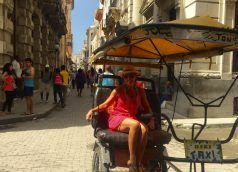 After multiple years of travel to Cuba, I’ve had the opportunity to witness a country in transformation albeit poco a poco (little by little). The once forbidden island and the United States have started to open their doors, starting with people to people, educational tours. This led to the 2014 announcement by Castro and Obama.